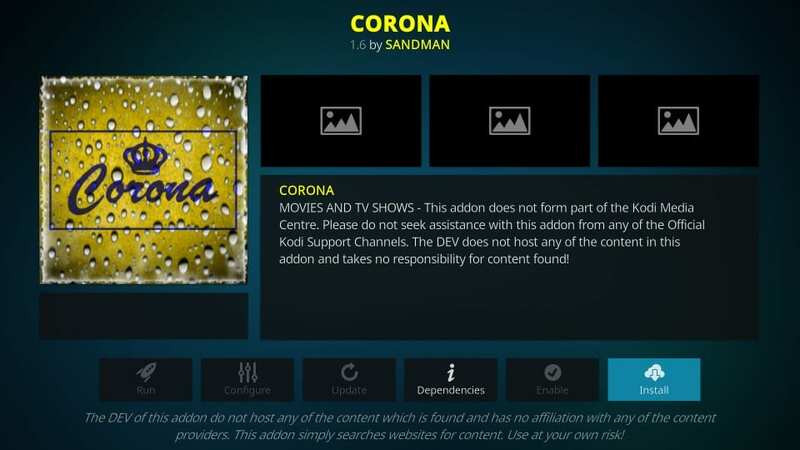 In this tutorial, I will demonstrate how to install Corona Addon on Kodi. 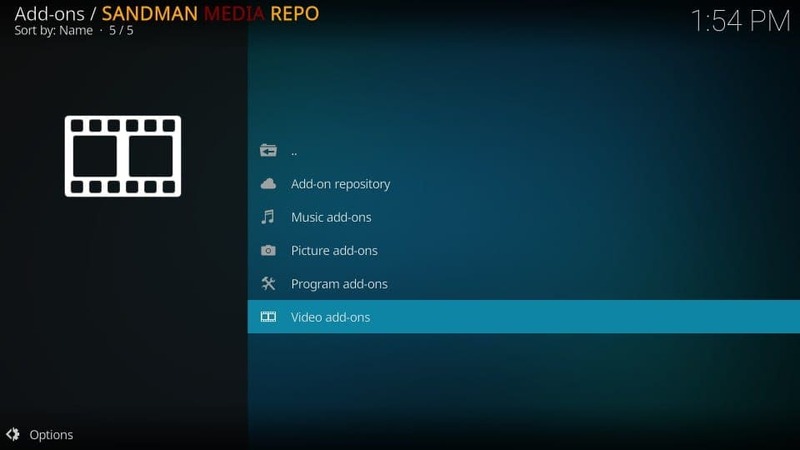 Even though the screenshots were taken on Windows, the method works exactly the same way for FireStick and all other Kodi supported platforms. 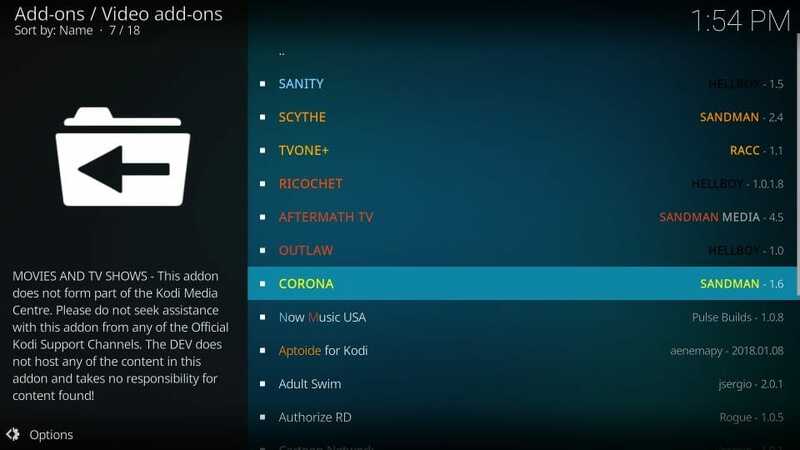 Corona Kodi addon is one deserved addition to our list of Best Kodi Addons. The addon has been around for a few months and continued to perform consistently. It is designed to stream on-demand content including Movies, Shows and Documentaries. 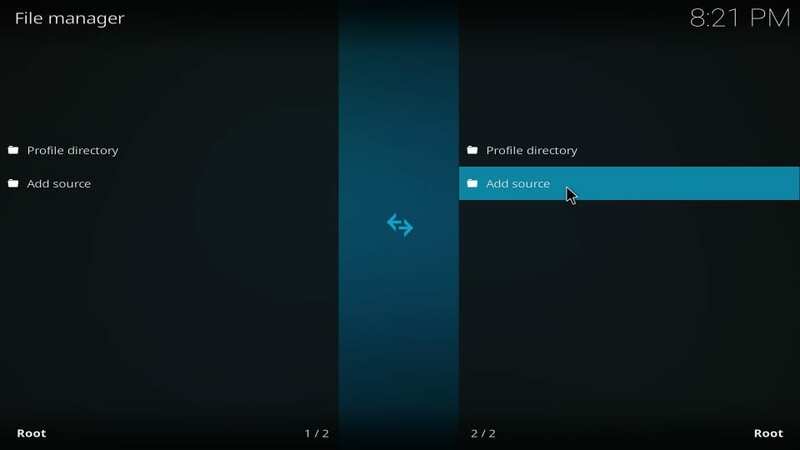 The simple layout of Corona makes for quick and easy navigation. With the organized categories and subcategories, you can find the content you wish to watch without any difficulties. 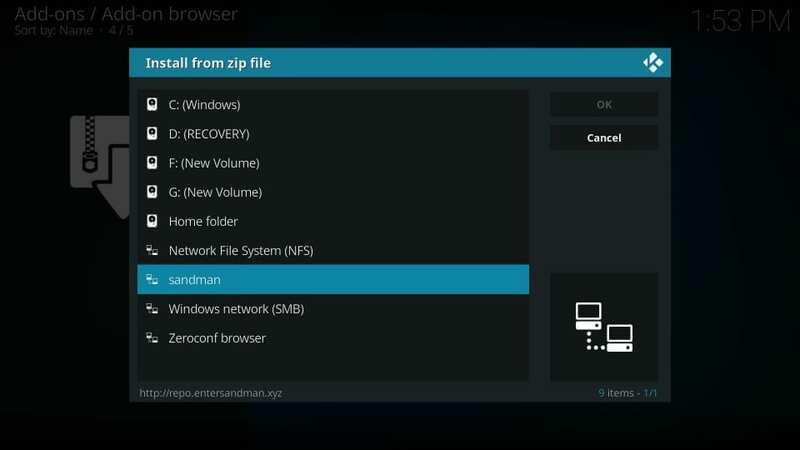 The addon also features a Search option on the main-screen in case you are looking for something specific to watch. 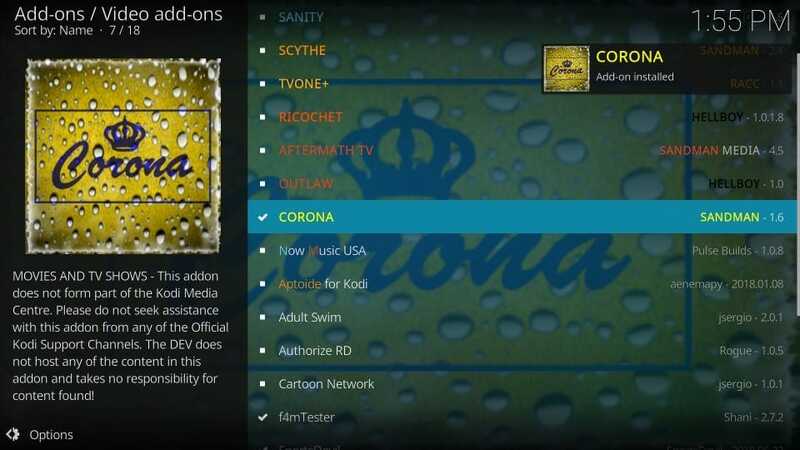 Corona fetches plenty of free streams, mostly with 720p playback resolution. With the Real-Debrid sign-in, you get access to higher quality streams in up to 1080p resolution. I will take you through the detailed installation process. But, first things first. 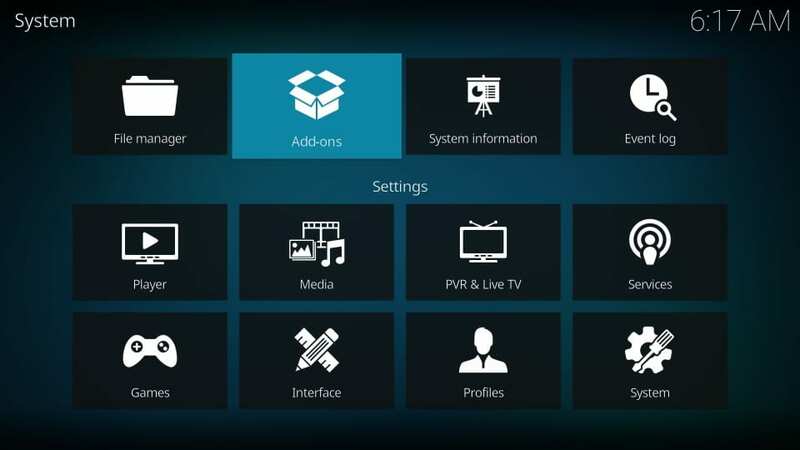 Kodi would not let you install any third-party addon unless you have tweaked a system setting. 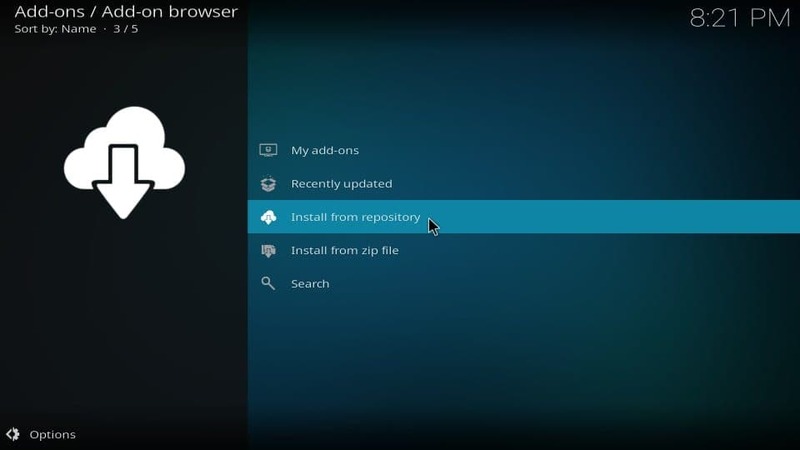 It is a security setting that prevents the automatic installation of malicious plugins. 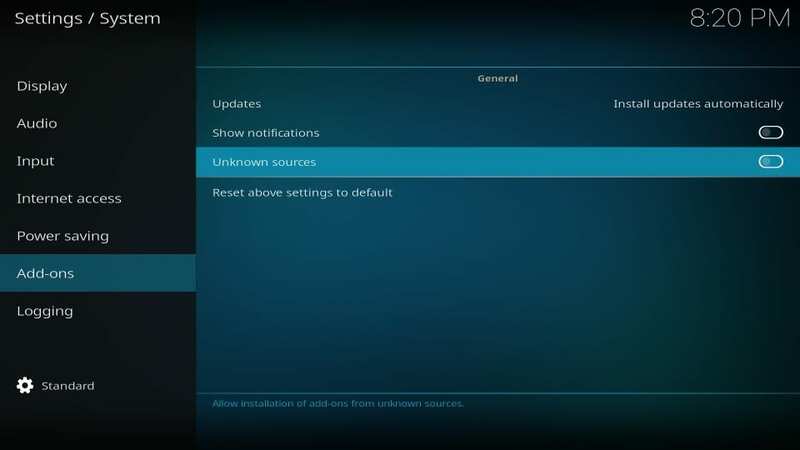 Corona is a safe and tested addon and hence we can change this setting for it. Tip – If you are still running an older version of Kodi, here’s how to update Kodi. #4. 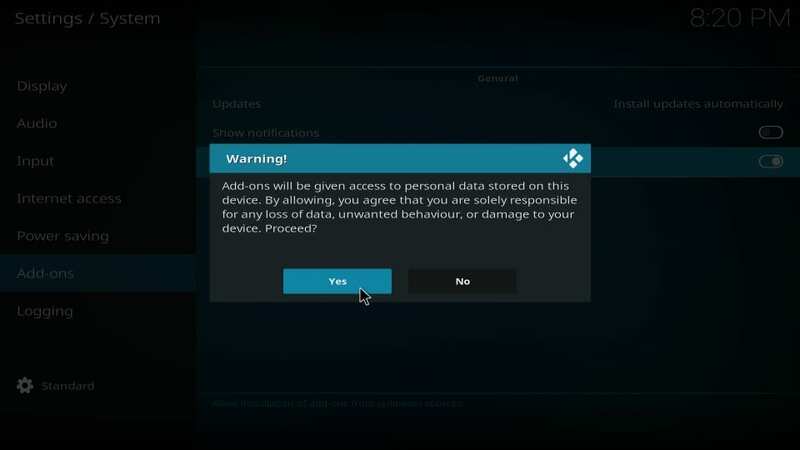 Click Yes when prompted by Kodi. 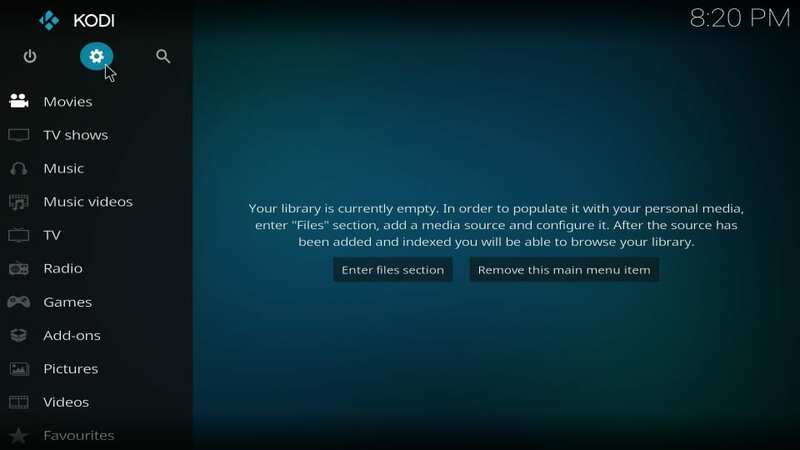 As I said, Corona Kodi addon is safe. 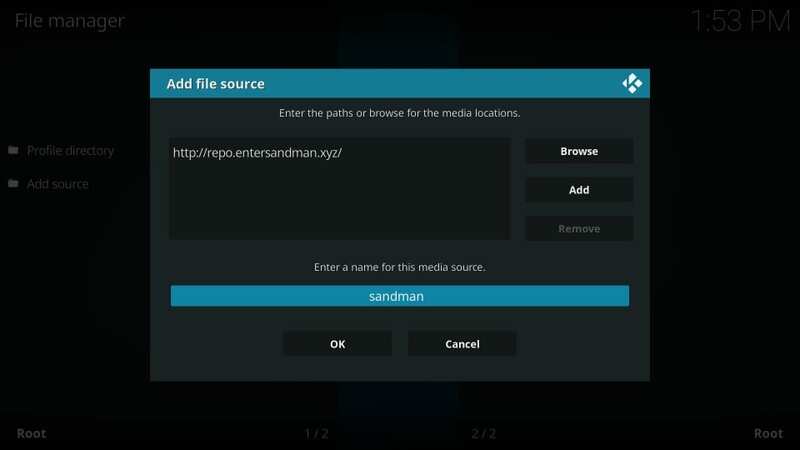 With this, you have set up Kodi to install any third-party addon and that includes Corona. 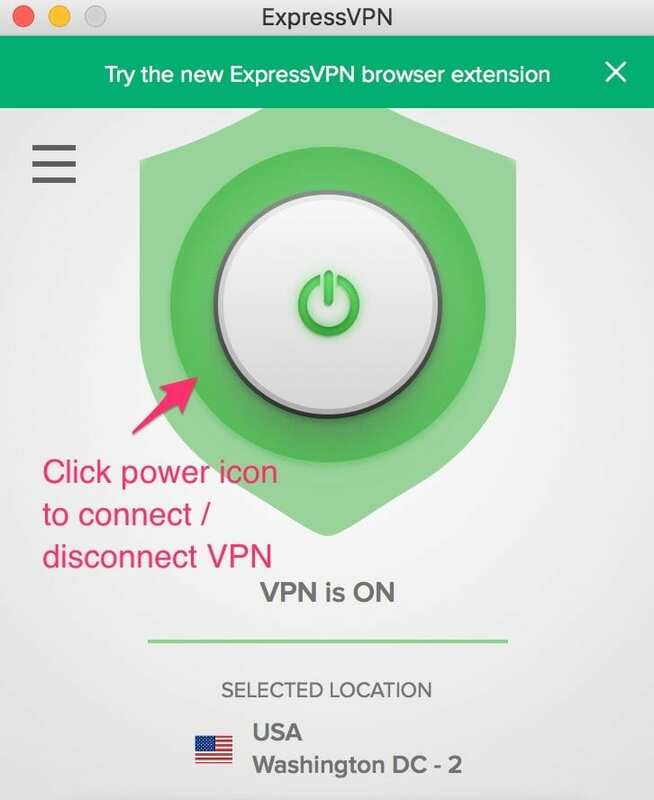 Check and make sure the URL has been typed correctly. Well, that should be all. 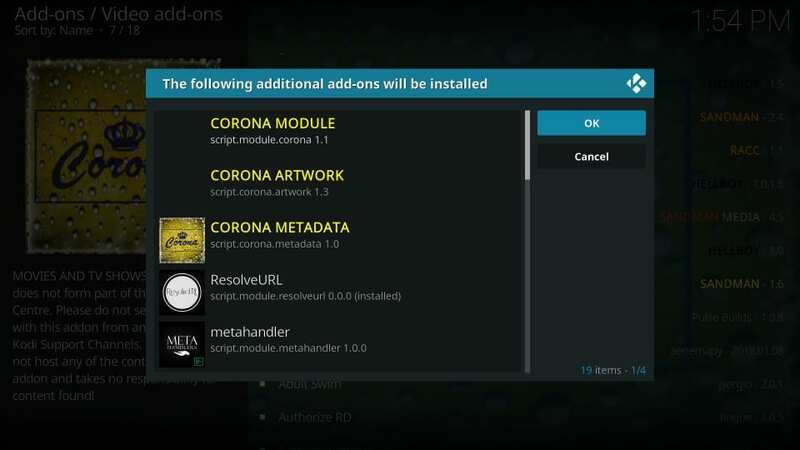 You have successfully installed Corona Add-on on Kodi. Enjoy! Corona rather looks like a straightforward addon to me. 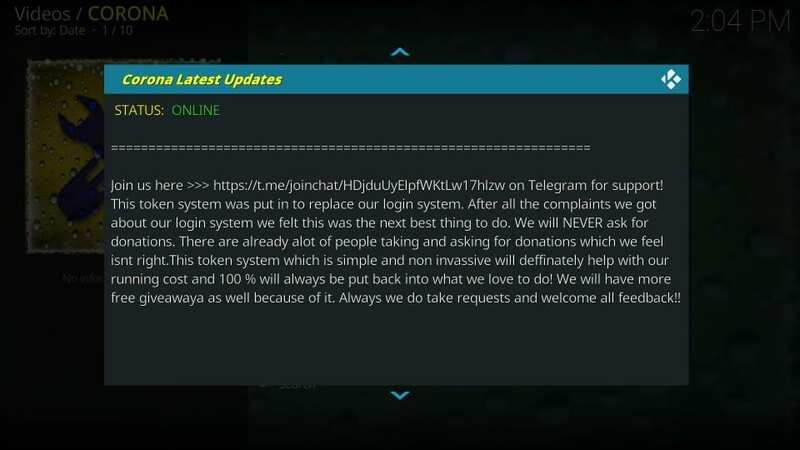 However, the developers have introduced a token system, which I think you must learn about beforehand. Click Generate Token on the webpage. The other way is to click Get token instead. It will open the same link www.development-tools.net in your default web browser. 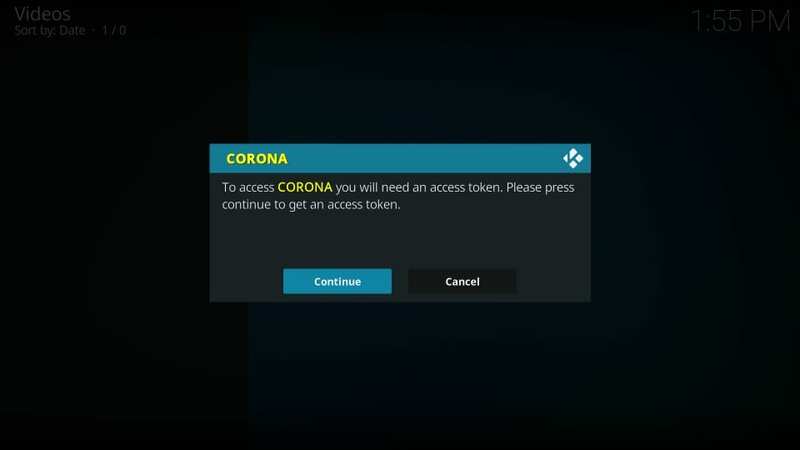 You can follow the steps above to authorize Corona with the token. The first method works better for me. 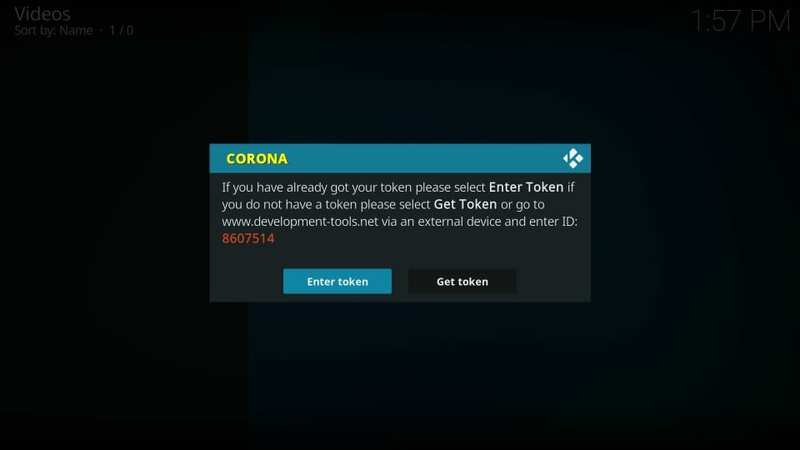 Here is what the Corona team has to say about the token system. 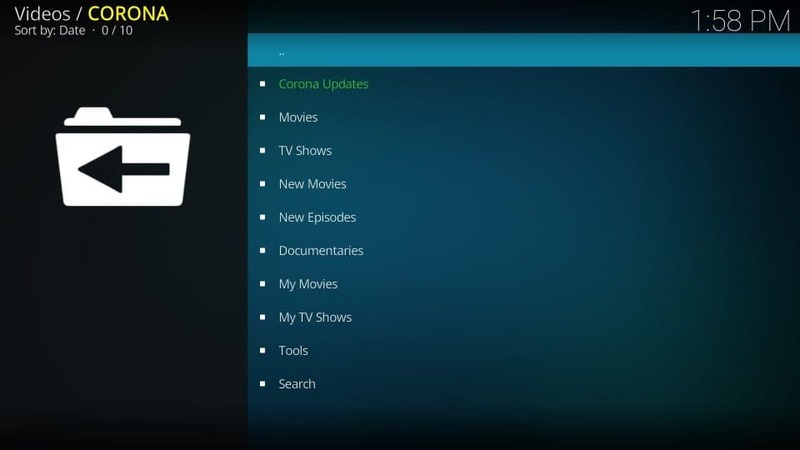 Once you are in, this is what the main-screen of Corona Add-on looks like. 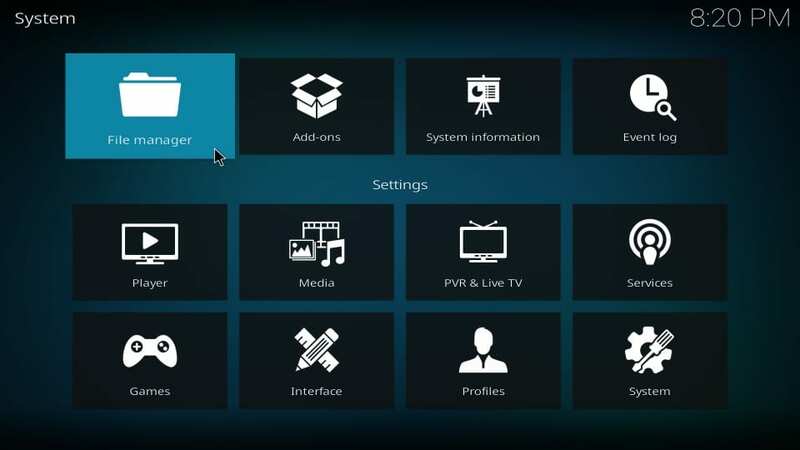 As you can see, Corona Kodi addon is a fairly regular one. It has conventional categories including Movies, TV Shows, New Movies, New Episodes, Documentaries, etc. 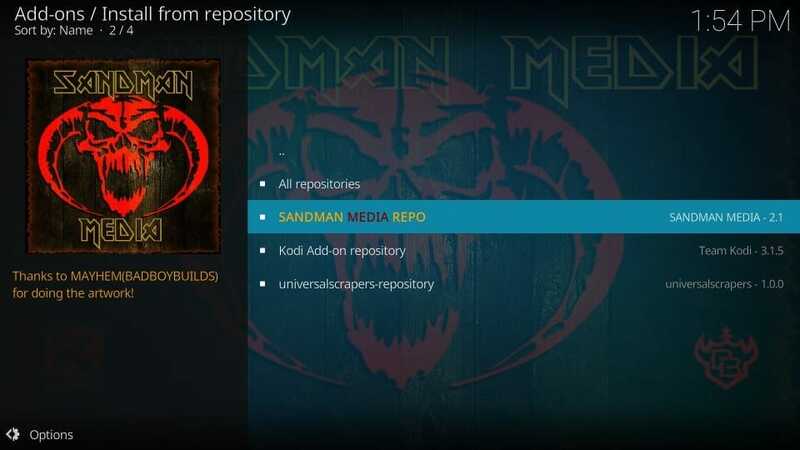 It also has My Movies and My TV Shows sections, which work when you sign in to the addon with Trakt. These sections sync with your Trakt account. 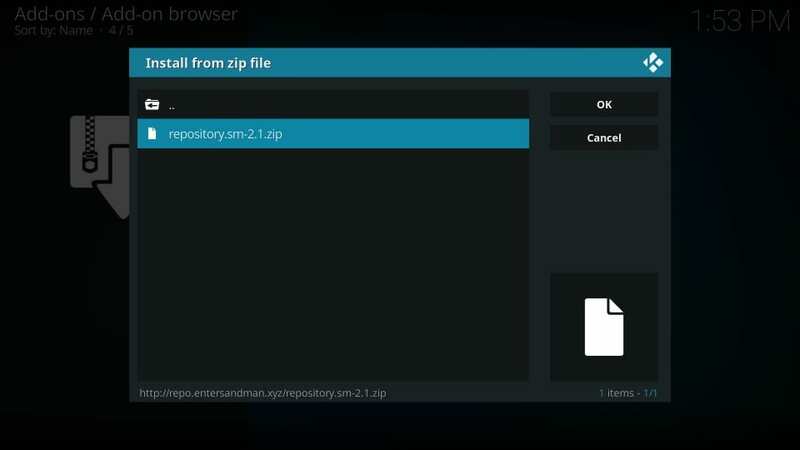 The Tools option takes you to the addon settings. 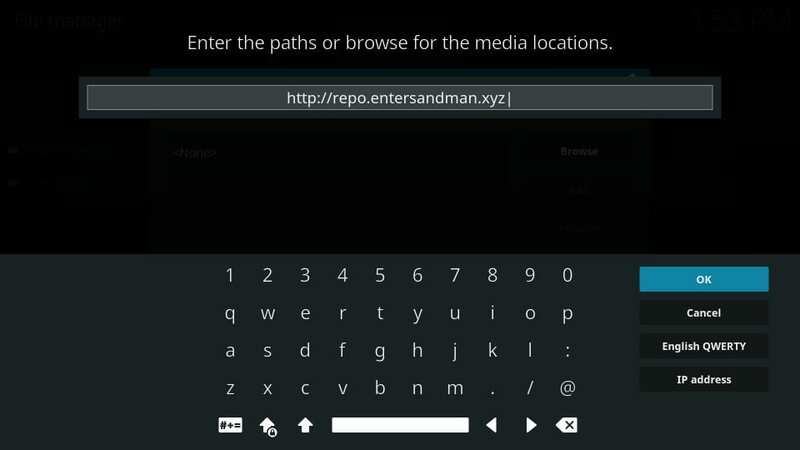 You can use the Search option to look up for any specific video content within the addon. 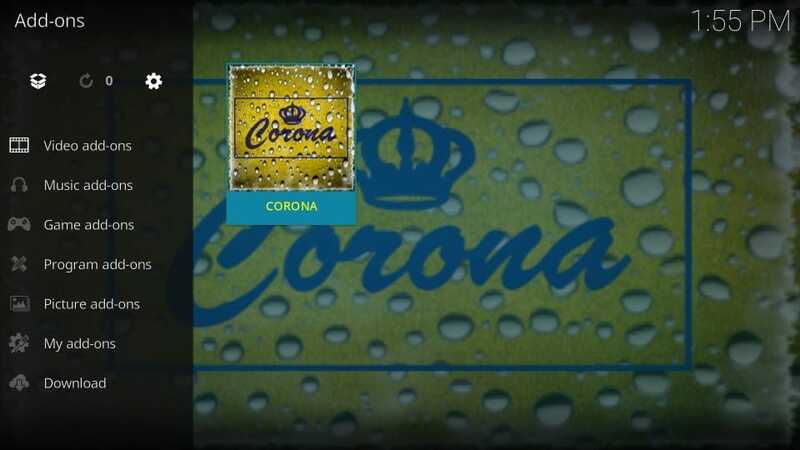 Corona gets straight to the business without a lot of fuss. As you must have noticed, this addon keeps things simple. 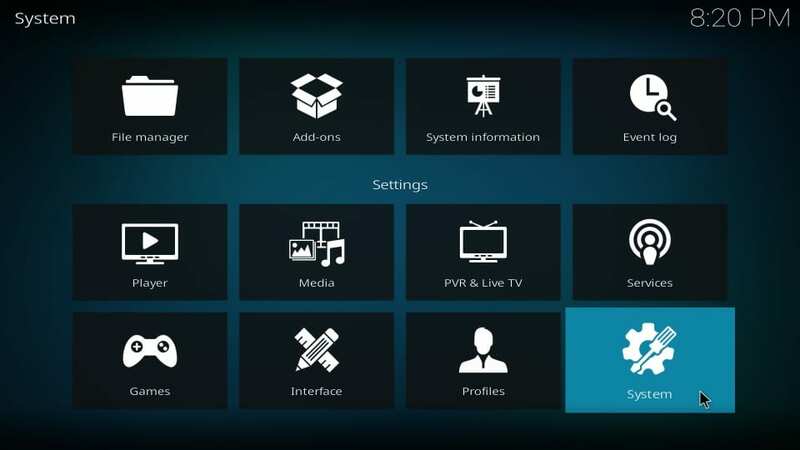 It only features the basic categories and options so that you could get started watching your favorite movies and shows straight away. By keeping away from all the frills, Corona manages to stay low-sized and fast. The content collection is what you would expect – big. It has the latest as well as the old movies and shows. The token system is one small barrier you must cross in order to get started. 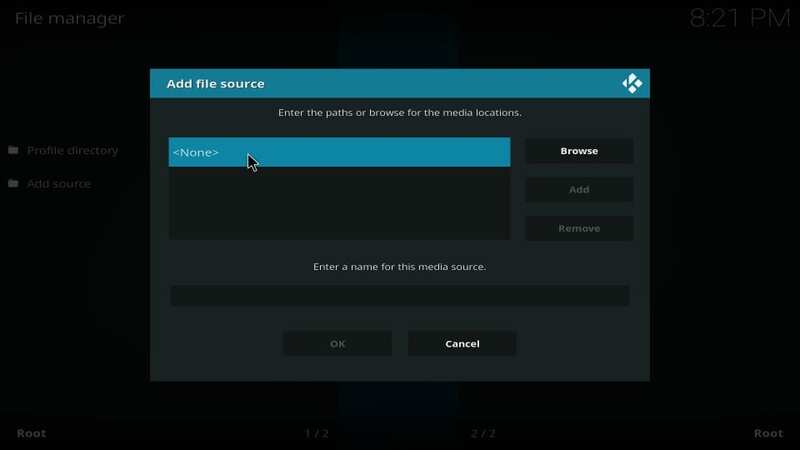 Everything else looks great to me about Corona Kodi Addon.